Discover more about what Ewing has to offer. A Ewing Township Welcome Guide was published by the Neighborhood Committee of the Sustainable Ewing Green Team in August 2018. It is now 2018 and I think Russell P. Dey would be very proud to see how far Ewing has come. Many of the dreams and plans he might have imagined have been realized. Ewing remains a community made up of neighborhoods working together for a common good. The people of Ewing still dream about a better life and continue to plan and work towards the future. This Welcome Booklet only begins to describe the progress made. As you look through this booklet you will be amazed at how successful we as a community have been. Who knows what another 67 years will bring? It has been my pleasure to help create this new edition of Welcome to Ewing Booklet. It is available in a downloadable format found on both the Ewing Township (CLICK HERE) website and our own Green Team website (CLICK HERE). As you look thru the information I am sure you will be reminded of what they said in 1951- Ewing is a great place to live. In 2015 the Ewing Green Team conducted a Community Visioning and finalized a Strategic Plan, laying out a clear vision and mission for the coming years. As a result of the participation of engaged and interested Ewing residents, the Green Team’s plan reflects the concerns of a broad swath of Ewing and was tailored to address the priorities of all of Ewing. Welcoming new residents and helping current residents realize the richness of resources available in our community was identified as a way to build community engagement among all residents and the Team was charged by participants with helping to build those community connections. 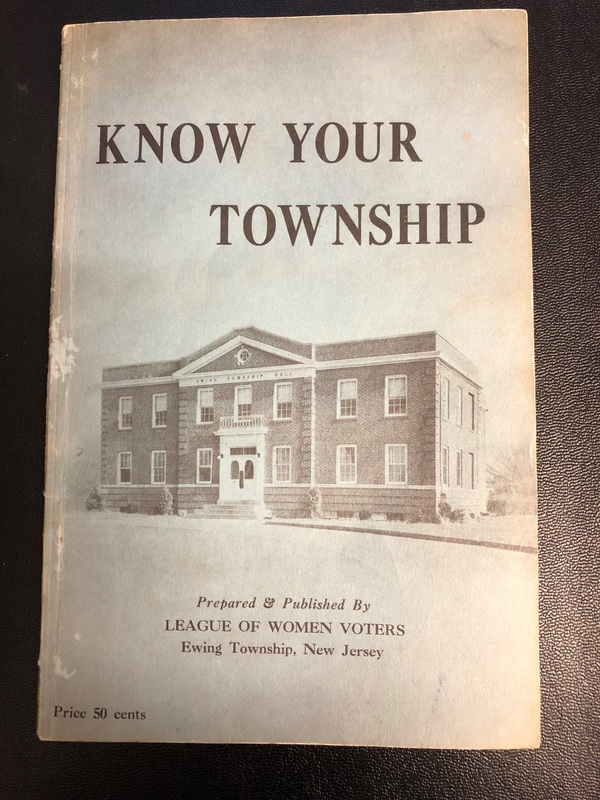 The Ewing Township Welcome Booklet is the product of that charge and we are delighted to offer this guide that highlights the reasons why we all choose to live in Ewing. Thanks to Neighborhood Committee Chair Caroline Steward and all of the members of her team and the community who worked with her on this substantial project. Photographs were donated by various organizations, Mark Wetherbee and other Green Team members. Next Next post: Build a Scarecrow this Fall and Win Ca$h! The recycling url in the Welcome to Ewing brochure does not work. Probably because it is hyphenated. Fixed. Thank you for the feedback.